E3 2014, which had PES 2015 at show, ended some days ago, yet there are still news about the new Pro Evolution Soccer 2015 emerging from the event. This picture seems to suggest that player names are back to the bottom left and right of the screen in Pro Evolution Soccer 2015. 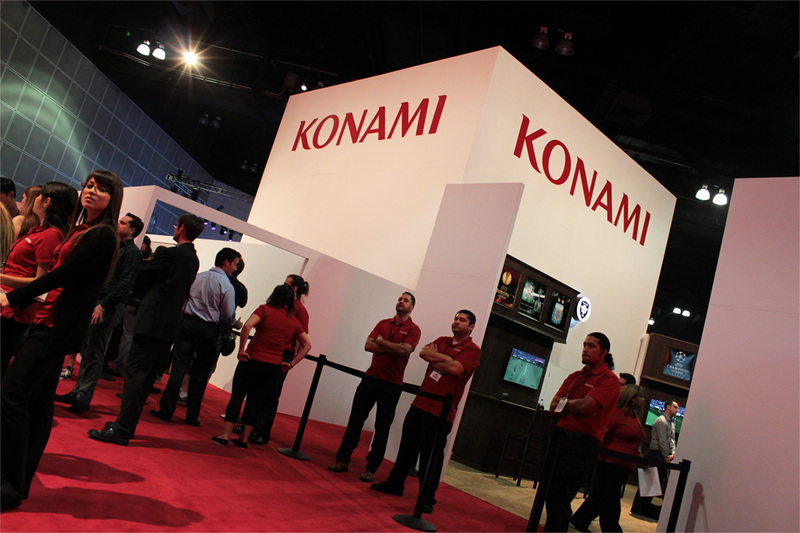 This photo was taken at the Konami E3 2014 booth. It appears Konami finally listened to the players and removed the silly and distracting player names above the players' heads. Instead, for PES 2015 the player names are looking to be back at the usual position at the bottom sides of the screen. Unfortunately, though, the weird and broken PES 2014 freekick system seems to be still in PES 2015 (at least the E3 version) as we can see from the dotted line on the photo. Let's all hope they sort that out as well and get rid of it asap. On other notice, French site Jeuxvideo.com have voted Pro Evolution Soccer 2015 as 'Biggest Surprise of E3 2014'. Make of it what you want, but it's probably not bad. 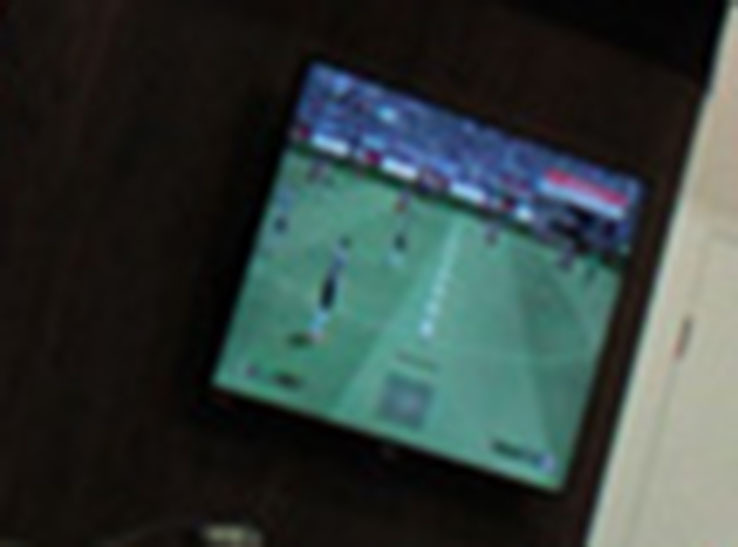 PES 2015 is our favorite of the E3 2014. Indeed, after having had the joy of discovering the game and play two matches, we saw a changed PES, completely different from its predecessors on the PS3 and XBOX360, thanks to the Fox Engine. Jeuxvideo actually awarded lots of games in more than 20 categories. If you wonder which game they had as 'Best Sports Game', it's FIFA 15 by EA, which apparently, in their eyes, looked better than PES 2015 at E3. In less than 10 days we'll know a lot more, June 25 can't come soon enough.